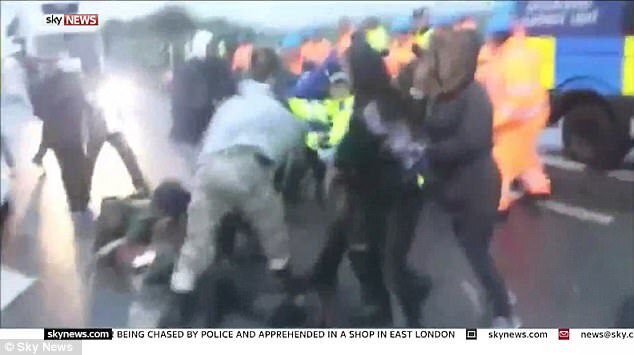 Police and protesters are violently clashing during anti-fracking demonstrations that have so far seen 160 people arrested in just six months at one site. Demonstrators at a site near Blackpool, Lancashire, have been attempting to disrupt the work of energy firm Cuadrilla, but tempers have become increasingly flared. Earlier this month, police announced they were beefing up security with 24-hour patrols at the site due to an increase in protests. 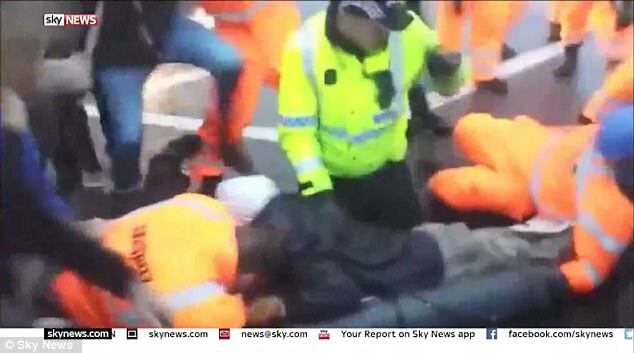 Footage emerged this week showing a disabled demonstrator falling out of his wheelchair as police tried to pull him out of the way of a 40-tonne lorry during a protest at the same site. Those arrested have been suspected of a variety of crimes, from assault to carrying a knife, but the protesters insist it is heavy-handed security guards who are to blame.